THE OFFICE IS LOCATED ON THE SOUTHEAST CORNER OF KENSINGTON AND WHEELINGROADS. THE OFFICE IS ONE BLOCK EAST OF THE SOUTHEAST CORNER OF THE RANDHURST SHOPPING CENTER. The Mount Prospect Social Security office is located in Mount Prospect 60056. The following page includes information for this location like the office phone number, hours of operation and driving directions. If you have any interests or comments about your retirement benefits or are interested in making an appointment, call the following Mount Prospect Social Security office. The Mount Prospect Social Security office is located at Mount Prospect 60056. The Illinois SSA regulates different federally run plans like retirement, SSI, Medicare and disability benefits. The following page contains useful contact information for this location such as the Social Security office phone number, hours of operation, and driving directions. 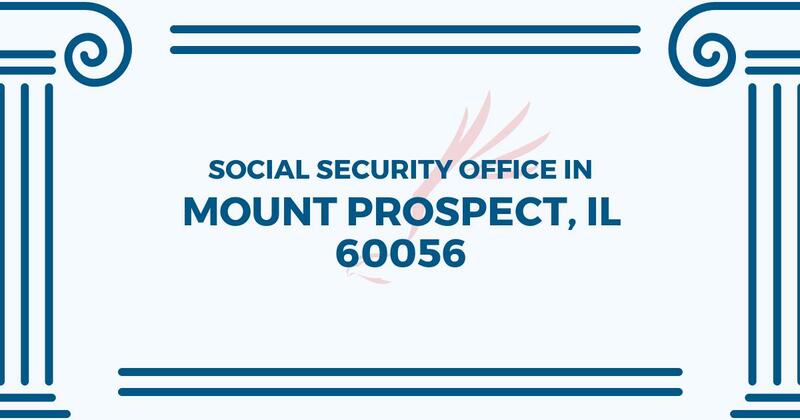 If you have any comments or inquiries about your retirement Social Security benefits or interested in arranging an appointment, call the following Mount Prospect Social Security office. I spoke to a women yesterday 9/18/18. She was not only helpful, but she was also kind and compassionate. Was there a different phone number that you used for the Mount Prospect office? Other than the 800 #. I need to speak to someone and/or make an appointment.